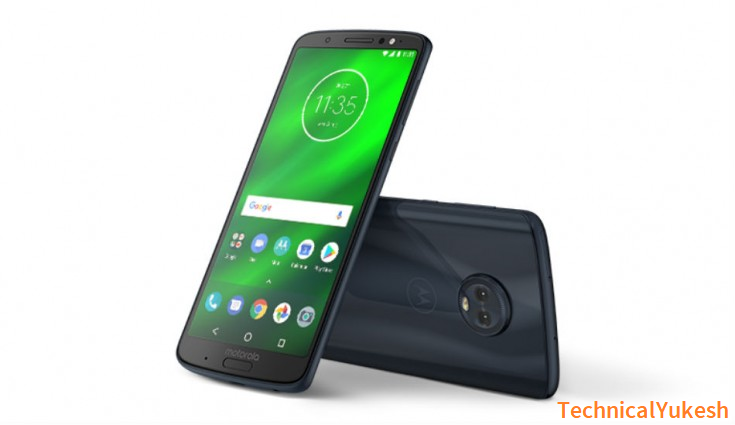 Moto G6 Plus 6GB RAM and Dual Rear Camera Setup Launch in India: The company has also introduced several launches along with it, in which if it is purchased through the Petmi Mall app on the store, then the customer will get the Paytm Mall cashback promo code up to Rs. 3000. With this, there will be no-cost EMI facility through Bajaj Finserv EMI network and home credit. Motorola has finally launched the Moto G6 Plus in India. This new smartphone is priced at Rs 22,499 and is available online through Amazon India and offline for sale on Moto Hub stores and other major retail stores. This is with Indigo Black Color option. The company has also introduced several launches along with it, in which if it is purchased through the Petmi Mall app on the store, then the customer will get the Paytm Mall cashback promo code up to Rs. 3000. With this, there will be no-cost EMI facility through Bajaj Finserv EMI network and home credit. Apart from this, Jiao users will get the benefits of up to Rs 4450, for which it is mandatory to get a plan of Rs 198 or Rs 299. In addition to this, instant cashback vouchers of 2200 rupees are being given to live users along with this. Apart from this, a clear-cut cashback voucher worth Rs 1,250 and a 1000 rupees AJUA discount will be given. Please tell that the company has already launched this smartphone in Brazil. With which Motorola also introduced the Moto G6 and the Moto G6 Play. Talk about its specifications, this smartphone has a 5.9-inch Full HD Plus display whose screen resonance is 2160 x 1080 pixels and its uncompressed ratio is also 18: 9. Along with this, it has 2.2GHz Octa-core Qualcomm Snapdragon 630 processor, Adreno 508 GPU, 6GB RAM, and 64GB internal storage, which can be expanded up to 256GB from micro SD card. This smartphone is based on the Android 8.0 ORIO operating system. The Moto G6 Plus has a dual rear camera setup in which 12-megapixel primary sensor LED flash, dual autofocus pixel technology, f / 1.7 aperture, 1.4um pixels size and secondary sensor in it is 5 megapixels. For the front, there is an only 8-megapixel camera with LED flash. There is also the facility of Face Unlock with the fingerprint scanner. This smartphone also has a P2i water-wrap nanotech coating for water protection. Apart from this, it has 3200mAh capacity battery turbocharging support. For audio, this smartphone has Dolby Audio support, front-end loudspeaker, and other 3Max. For connectivity, it has 4G VoLTE, Wi-Fi 802.11 a / b / g / n, Bluetooth 5, GPS, NFC, USB Type-C port, 3.5 mm headphone jack etc. Its total measurement is 160 x 75.5 x 8.0 mm and weighing approximately 167 grams. We hope this article helped you. You may also want to see – If you liked this article, then please share on the social networking site: Twitter, Facebook, YouTube, and Instagram. You May Like: THE TOP 10 BEST APPS EVERY YOUTUBER MUST HAVE!